In fact, it depends a lot on where you’re aspiring to work, as formalities differ among countries (and airlines). I am based in EDDF, and all I can describe 1st hand is how it works under German / EASA legislation – caution: this is most definitely NOT the same for other countries. Generally, airline #flightplanning takes a license. 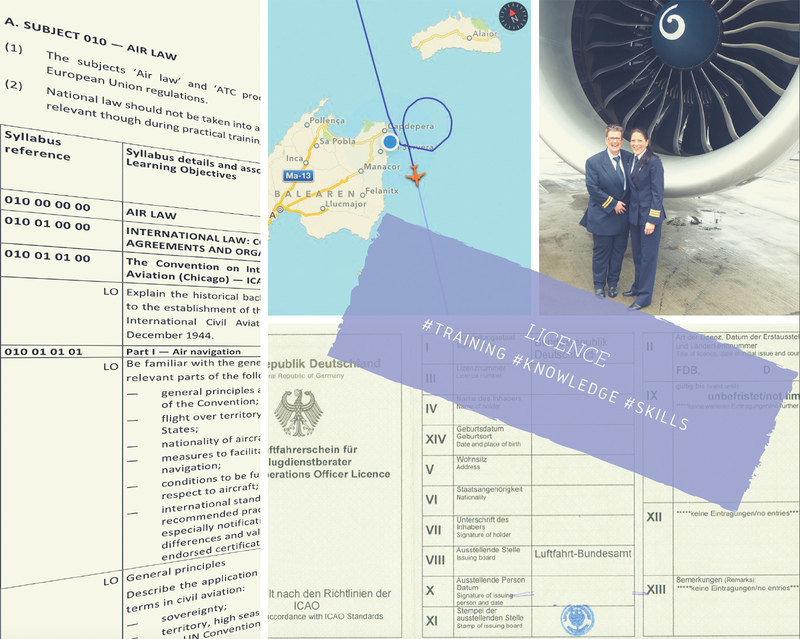 Similar to a pilot’s, a “Flight Operations Officer” License is issued by the competent #aviation authority (for my German license, e.g, the LBA). Acquiring this precious piece of paper takes quite some training plus exams. Similar to #pilots, there’s 2 basic options: applying for an #airline backed course taking you from 0 to FOO — or take (and pay for) one of the courses offered at a few training organizations on the market, applying at an airline later as licensed “ready entry”. Both options are limited and as far as I know, the latter one currently is the only one. Initial training consists of loads of theoretical instruction, covering mostly the same as in #pilot training with focus shifted towards the planning subjects instead of stuff like airplane systems. Also, the theoretical exams are much like the ATPL ones (with a few contents cut out). All that can easily take around 10-12 months (NB – ATPL theory is credited, enabling you to skip the theory). Once you’ve passed, you’ll move on to practical training. This takes you on an awesome journey through an actual OCC: apply OM-A to OM-D, learn to use AIPs, ATC regs and flightplanning systems, play with minima, charts and weather aaaand… pass that practical exam after 3-4 months. Once licensed, airline specific on the job training / route familiarization follows up to a “checkout”, i.e. able to work without supervision. There also is mandatory recurrent training. Oh and by the way – selection procedures regularly contain skill tests (e.g organizing, concentration, etc); proficiency in English, maths, physics; plus psychological assessment. Very well written and explained Kirstin and quite a bit of Informatio that you have put through. Great Stuff I must say and brings back memories the time I went thro all these as you have mentioned, during my Traing as a Dispatcher… Of course this was long years ago although the material seems to have not changed… Am also a Proud Holder of an FAA and LBA FOO Licenc.. I will pass that message to Kirsten. Thank you.